Sarah: Should I write for free? It’s one of the toughest questions faced by writers and other content creators. Yes, you want to see your name in a byline. Yes, you need more experience to add to your portfolio. Yes, you want to show a business that you’d like to build a relationship with it. Many scientists undertake communication activities for free, driven by passion and a desire to spread the word about how wonderful and diverse and useful science can be. When I was a brand new freelance writer, I did some unpaid writing – mostly on this blog. In fact, having a daily commitment to write was one of the reasons for starting the project. Now I’m happy to report that the majority of my writing does provide an income. However I still do write some words for free. Included amongst these are book reviews and interviews for the website Science Book a Day. An initiative of George Aranda, I support it because I believe it’s a great and unique idea and I enjoy reading books with a critical eye – hopefully it will improve my writing as well. Recently I experienced another benefit of this commitment. Drinking champagne at the inaugural Women in Media event in Adelaide, I was introduced to a senior writer and books editor at The Advertiser (South Australia’s primary printed newspaper). 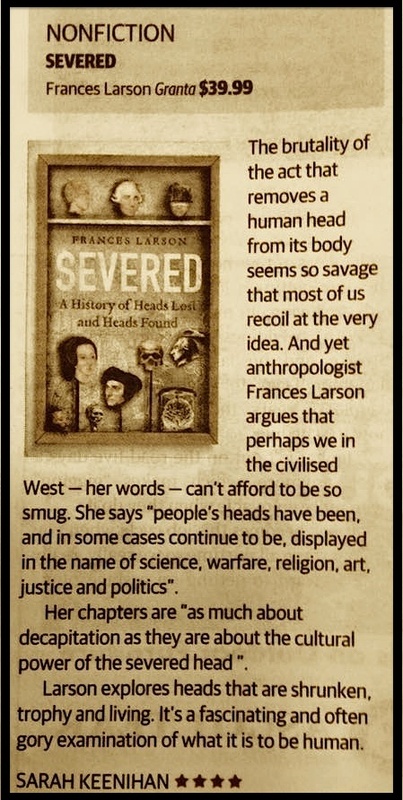 I told her of a wonderful science/history book I had just reviewed for Science Book a Day – Severed: A history of heads lost and found. She said it sounded wonderful. She said would I like to submit a shorter review of the same book for The Advertiser? She said she would pay me. It’s a positive outcome that arose from a happy collision between networking and an unpaid writing gig that I did for love. Sarah: You know, I’ve just worked out the real reason Pete Evan’s paleo movement irks me. It’s not the failed release of his book which apparently recommends bone broth as a formula-substitute for babies who aren’t able to breast-feed. It’s not the endless stories of reformed lives and diet-induced rescue from every manner of illness that appear on his Facebook page. It’s not his switch to eating and raving about sugary desserts with each new well-paid season of MKR. What really bugs me is that it’s making me feel inadequate. Inadequate because on the odd occasion that I cook Italian, I don’t make almond pizza dough. Inadequate because I’d rather eat a piece of French brie every fortnight or so, as opposed to cheese made from macadamia, lemon juice and Himalayan sea salt. Inadequate because I don’t skip gleefully down a sun-drenched beach and revel in ‘moving my body everyday’. Inadequate because I actually enjoy eating raw, hand-ground organic grains for breakfast. They’re raw and hand-ground and organic, for goodness sake! I eat lots of veges. I avoid junk food most of the time. I do lots of exercise. 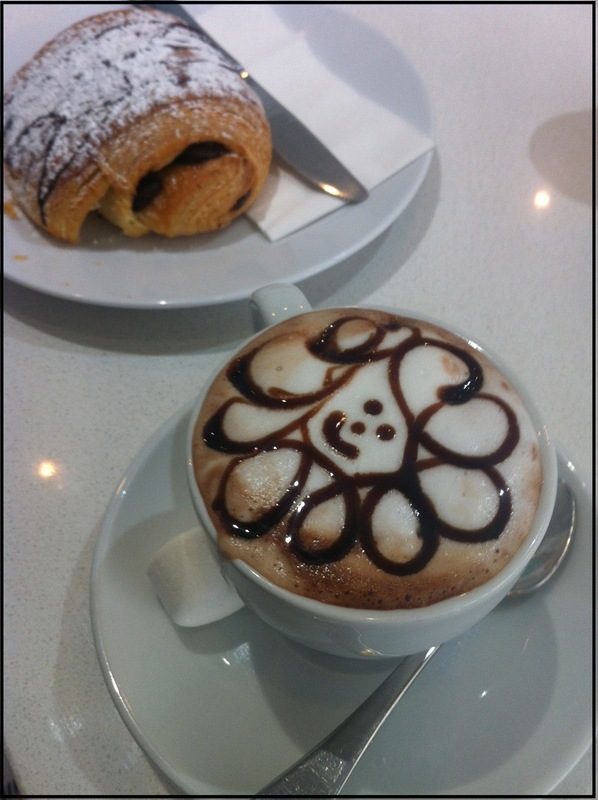 I know sugar is bad for me, but I still eat it occasionally. I’m happy with that. So bugger off Pete. You can have your paleo. I’ll just stick with eating and living like a well-informed and slightly flawed 21st century Homo sapien. 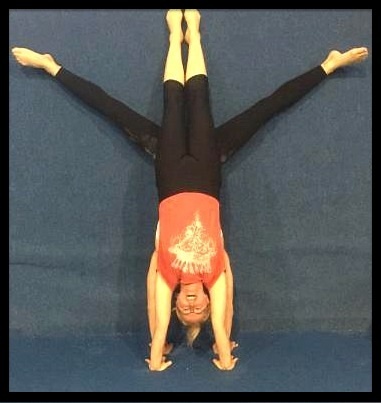 Kirsti: It’s the end of #handstandfebruary, didn’t you know?! I enthusiastically joined Sonja Dominik for my inaugural handstand February in 2014. Now having just completed my second year, I suspect it will be an annual event in our household. 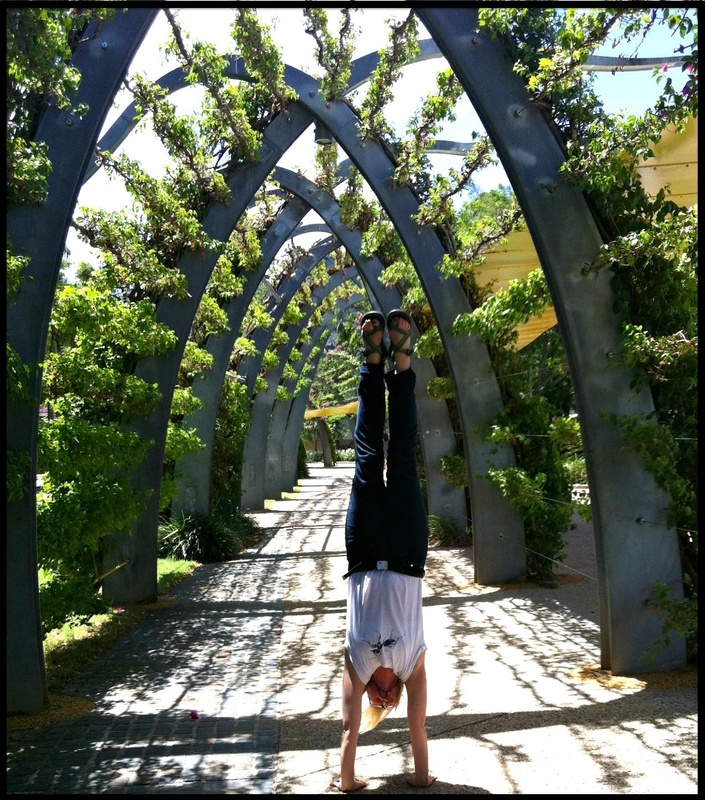 Handstands are fun, often challenging, and who doesn’t want to improve their upper body strength? I’ve been doing them since I was 4, so there is no reason to stop now. An unexpected benefit of daily handstands for me this year has been the improvement in my posture. Being conscious of my posture on a daily basis helps me to make frequent adjustments to align my body. On a very simple level, standing up straight with my shoulders relaxed but aligned feels good, because my shoulders are often sore from so much handstanding! It’s also because I am conscious of my body alignment when handstanding regularly; I think about my balance and alignment when grounded on my feet as well as on my hands. But it also helps I came across this cool site that details ALL the muscles involved in doing a handstand, and shows progressions to the most awesome and complicated dream-on-dare-I-try-it handstands! It further lead me to make micro-corrections to my alignment and posture, and helped me stay vertical on my hands just like I do on my feet every day. Biomechanics in sport is an important part of improving physical performance in competition. It involves analysing aspects of body movement like stillness (inertia), kinetics, velocity, rotation, acceleration, torque and muscle coordination. 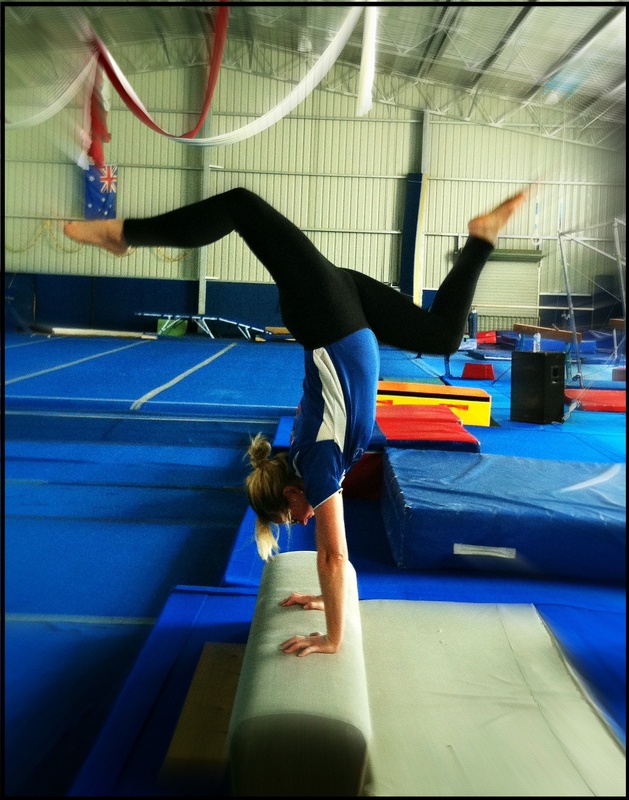 I’ve blogged about rediscovering gymnastics, and the physical and cognitive benefits it will have for me into old age. But I’d be fairly willing to say now that just a handstand a day might keep the physio away!